NWMAF is a non profit organization with a mission to empower women and girls through martial arts, self defense, and healing arts education. Since 1976, we have offered a spectacular training event for people from all over the United States, Canada, and beyond. The Special Training and the Self Defense Instructors' Conference is our flagship event and some of the most effective methods we have for accomplishing our mission. The selection of trainers and presenters, therefore, is an especially crucial task. Are you passionate about your martial arts, self-defense or healing arts practice? Do you teach in the martial arts or self-defense? Do you identify as female (cis and trans), non-binary or gender non-conforming? If you answered yes to the above questions please consider applying to become an instructor/trainer at our Martial Arts and Self-Defense Instructor’s Conference! We are looking for dynamic individuals who are passionate about their practice and would like to share their skills and knowledge in a supportive and energetic learning environment. To promote the fullest possible participation we seek trainers who are excellent instructors as well as women who embody the spirit of inclusiveness on which this conference is based. We must also be mindful of the special benefits that accrue to trainers and presenters at NWMAF events, and to be sure that those benefits are available to the widest possible range of instructors. In order to assist us in selecting a well balanced and diverse group of trainers, we ask that you fill out the application as fully as possible. The deadline to fill out an application is March 15, 2019. Notification will be made on or before April 15, 2019. The Trainer/Presenter Information Form collects basic contact information and information about each proposed class including class title, description, and outline. Trainer and presenter teams are compensated as one trainer or presenter, sharing any compensation and/or stipends. 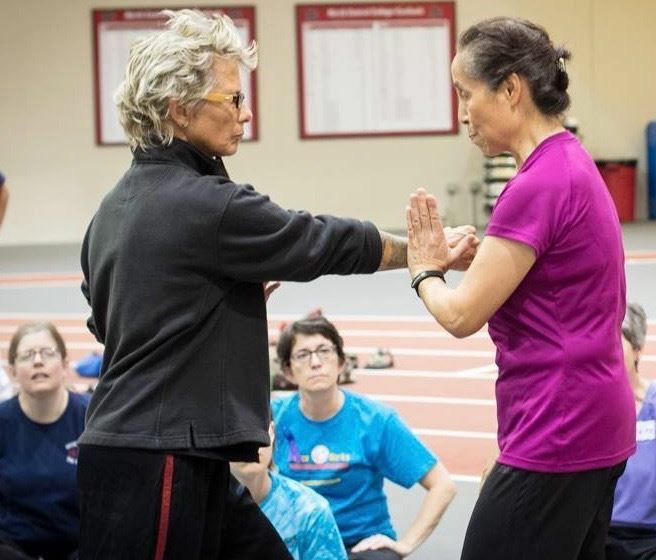 The Self-Defense Model Course is meant to serve as a model for how to offer a basic self-defense workshop to the community, using the NWMAF empowerment framework. Applicants to teach these sessions must commit to teaching or co-teaching at least 4 sessions, and at least one presenter must be a NWMAF-certified self-defense instructor. One person must be designated as the "primary". This person completes all class description information. The other presenters must answer "no" to the "Are you the primary presenter or teacher" question, even if all teachers share equal responsibility.